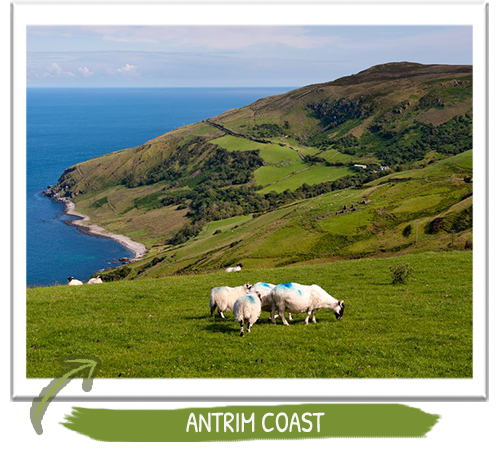 Welcome to The Antrim Coast Road, listed as Best in Travel 2018 by Lonely Planet. In this blog tour guide Mark Doherty will take you on a journey of discovery along the coast road that holds a special place in our hearts. 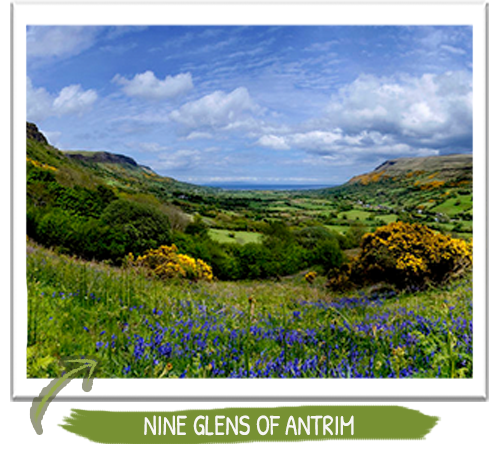 The Antrim Coast Road of Northern Ireland is fast becoming renowned as one of the finest coastal scenic drives in the world. All Vagabond and Driftwood Tours that include Northern Ireland spend one full magical day exploring this area. Here is a brief introduction to some of the magic you can expect on your day exploring the Antrim coastline. We begin by leaving the Victorian charm of Londonderry Arms hotel in Carnlough. Once owned by Winston Churchill’s family, you can almost picture the big old British bulldog sitting in one of the chesterfields drinking excessive amounts of brandy. With the sea on our right hand side, we set off for the ‘9 Glens of Antrim’. These beautiful valleys are famous from the song Danny Boy. 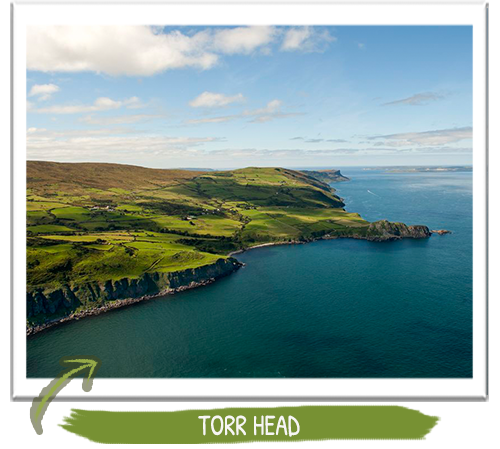 Soon after ‘the glens’ we get near Torr head. Scotland is generally visible from here as its only 12 miles (18km) away. As we pass through Ballycastle, where Europe’s oldest animal fair still takes take place, we then climb along the coast as Rathlin Island comes into view. This is where the Vikings first arrived in Ireland in 795AD. Today, if you see someone gowned up in medieval dress, you can safety assume that they are part of the locally filmed ‘Game of Thrones’ cast. 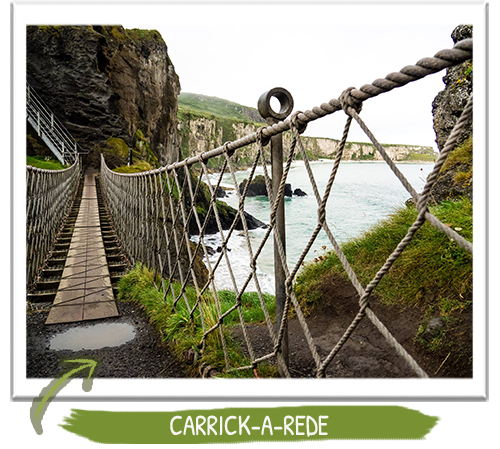 Our next stop on the Antrim Coast Road is The Carrick-a-rede rope bridge. Although its no longer used by fishermen catching the migrating salmon, it now attracts tourists willing to test their nerves on this 66ft long rope bridge hanging 100ft over the water. The day just keeps getting better as we visit the Giant’s Causeway. Across the globe there are just over 1000 UNESCO World Heritage sites. 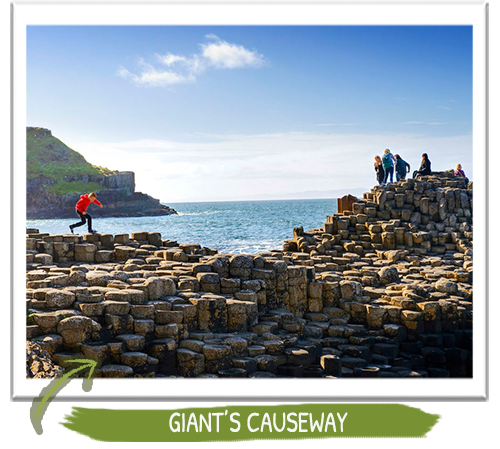 The Giant’s Causeway is the only one in Northern Ireland. It comprises of 40,000 hexagon shaped basalt rocks. Before the advancement of the science of geology, people have always believed that thousands of years ago Ireland had both giants and fairies. And this causeway was built by an Irish giant named Finn McCool as a walkway between Scotland and Ireland. All this sight seeing will build up a thirst only whiskey can quench.With that in mind the next stop on the Antrim Coast Road is Bushmills. The world’s oldest legal distillery gained its licence in 1608. A tour of this working distillery concludes in the bar. 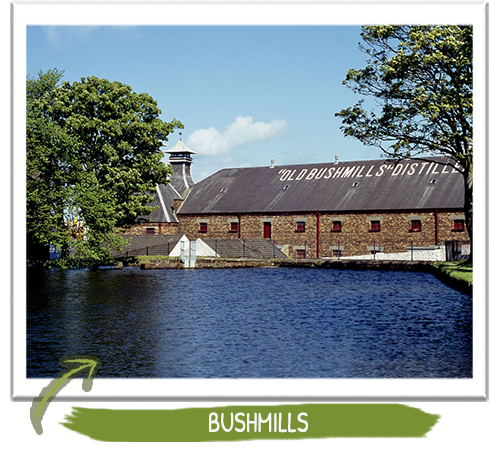 Bushmills is the only distillery in Ireland to make triple-distilled single malt whiskey and a visit to the area would not be complete without a taste of the history! But before we end our Antrim Coast Road adventure, it would be almost rude not to stop at the majestic castle of Dunluce. 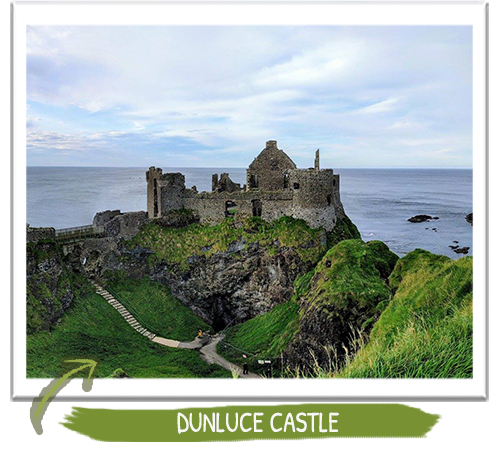 According to some archaeologists, the medieval town of Dunluce would have had some of Europe’s first indoor toilets. The Beech Hill Country House Hotel in Derry is our hotel the night. Now its time to enjoy an evening of great food, luxury rooms with super comfy beds as yet another great day is coming up tomorrow. * Please note, this is a description of the day when enjoying a tour driving in the anti-clockwise direction. If your tour is going clockwise, the daily activities would be in reverse.